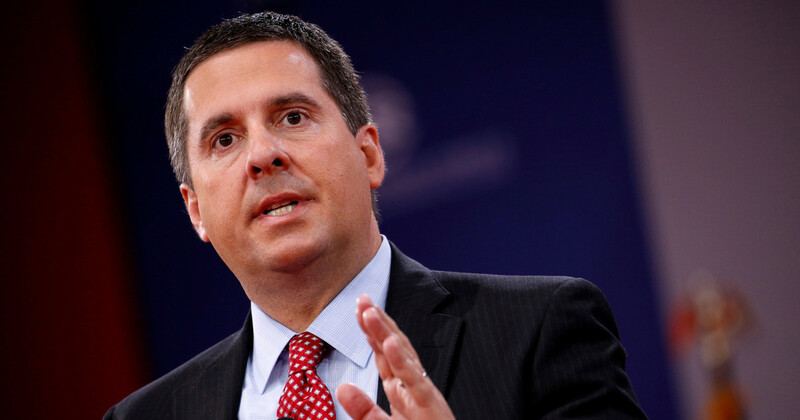 WASHINGTON — House Republicans investigating foreign interference in the 2016 election say they have found no evidence that Russians colluded with any members of the Trump campaign and dispute a key finding from the intelligence community that Russia had developed a preference for the Republican nominee during the election. Those are the initial conclusions of a 150-page report from GOP members of the House Intelligence Committee, who are formally bringing the panel’s yearlong investigation to an end over the fierce objection of Democrats. After speaking with 73 witnesses and reviewing more than 300,000 pages of documents, a senior Republican on the panel said there was an urgent need to begin making their recommendations known to the public because Americans have already begun voting in midterm elections. Rep. Mike Conaway, R-Texas, said the exhaustive probe ultimately found no definitive proof that the Trump campaign actively cooperated with any Russians to influence the vote. “We found perhaps some bad judgment, inappropriate meetings, inappropriate judgment at taking meetings. But only Tom Clancy … or someone else like that could take this series of inadvertent contacts with each other, meetings, whatever, and weave that into some sort of a fiction page-turner spy thriller,” he told reporters Monday. Lawmakers had been telegraphing that last week’s committee interview with former Trump campaign manager Corey Lewandowski was likely to be the last of dozens conducted since the committee launched its Russia probe last March. But the news that majority party staffers had already drafted a final report so quickly was likely to stun committee Democrats who expected to be consulted in the process. Rep. Adam Schiff, D-Calif., the ranking member of the committee, said the committee’s work "is fundamentally incomplete,” and blasted Republicans in a statement for seeming to turn a blind eye to serious questions including whether the Russians had leverage over the president. In an interview with MSNBC’s Rachel Maddow, Schiff said that Democrats would do their best to continue following all relevant leads without the GOP, while acknowledging that the party could revisit unresolved issues in 2019 if his party wins control of the House and with it the committee’s gavel. "Many of us could see that Donald Trump was going to be a very poor president. What we couldn’t see is how many people would be complicit in that, how many people would be willing to resign their obligations under the Constitution and our system of checks and balances in the service of that deeply flawed president,” he said in the interview. Conaway hadn’t yet informed Schiff about the draft report when he briefed reporters Monday afternoon. He said he would officially share the draft with Democrats on Tuesday after speaking with Schiff about it on Monday night. The Democrats would have an opportunity to offer their input before the report is sent for declassification and ultimately public release, a process that could take at least a month, . Conaway also denied that any of the initial conclusions by the GOP members represented an effort to undermine the work of the probe by special counsel Robert Mueller. “We’re not doing anything. We’re not saying anything to ask him to stop. We’re not asking him to not investigate anything,” Conaway said. The report will include an assessment of the June 2016 meeting between Trump campaign officials, including Donald Trump Jr., and Russians with ties to the Kremlin, concluding that nothing discussed represented collusion. “Was taking the meeting ill-advised? Yes. But did anything untoward happen? We cannot through all of our investigation find [that],” Conaway said. Conaway and other committee officials said that after an exhaustive review of the thousands of source documents that went into developing that assessment, they largely agreed with its findings but with a major caveat: Information suggesting a “clear preference” by Putin for Trump did not meet the analytical standards required to support the assessment. The report will go further and suggest that to the extent that any Russians acted on behalf of either candidate, it was for Hillary Clinton. That contentious finding is included in the context of discussing the role of the Christopher Steele dossier that was compiled on behalf of an opposition research firm contracted by a law firm connected to the DNC and the Clinton campaign. Russians used cyberattacks and social media to sow discord in the U.S.The Obama administration had a “lackluster” response to the Russian efforts.There were “problematic contacts” between senior intelligence officials and the news media. The draft report includes 25 proposed recommendations for Congress and the executive branch related to election security, supporting European allies, the government response to cyberattacks, campaign finance transparency and counterintelligence practices related to political campaigns. With the House investigation wrapping up, the Senate Intelligence Committee’s investigation into Russia meddling in the election continues. Interviews for that investigation are scheduled into next month, and more beyond that are not yet on the books, per a source familiar with the investigation.